Discussion in 'Android Apps & Games' started by Jaffa, Dec 22, 2009. Graphics are better than most on the Market. But I agree Androids games are not up to iPhone standard... yet. One thing android is missing at the moment is motion blur (opengl2.0 which is only rolling out for android now). That means some good looking 3d games dont look as good as iphone counterparts because you can see the texture edges etc. They make Android games already. The problem is they seem to put effort in to their Android offerings. They've also complained publicly about not getting many Android sales. Plenty of games sell on Android, they just put half-baked stuff out there. That's why no one buys them. They make Android games already. The problem is they seem to put ****-all effort in to their Android offerings. They've also complained publicly about not getting many Android sales. Plenty of games sell on Android, they just put half-baked stuff out there. That's why no one buys them. Yea like assasins creed for Android is pure crap compared to the iPhone counterpart. Gameloft doesnt really try with thier Android ports. Its ok though. I have an iPod Touch so I'm enjoying the best of both worlds. Hopefully games will improve. You'd think these game companies would jump on the bandwagon. It's not like droid phones are decreasing in numbers. These are great games, all in my collection. Did you notice the date on the post above yours? Also reckless racing is a gorgeous looking game as well. Great 3D engine and detailed textures. 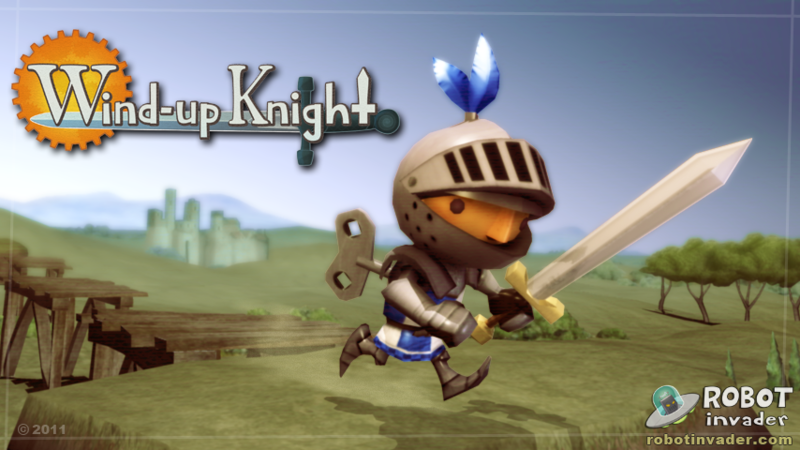 So unlike all the other games listed above, Wind-up Knight is a cute little game with amazing graphics. It can actually be challenging. If you just want to show it off, the graphics are pretty cool. Don't let the cool-ness fool you! Best games visually right now are, ShadowGun (TegraZone), Dead Space (XperiaPlay), 9mm HD, Tintin HD and Backstab HD. I own every single game mentioned above me (except dead spaxe, some thru sales, some acquired illegitimately) and none of them are a smooth 60fps. Any game that doesnt at least reach that framerate makes me dizzy and feel as if the devs got lazy, as they decided to half the number of frames every second just so the textures look better for screenshots on the Market, hoping for more downloads and thus greater revenue. Asphalt 5 for example is amazing in teztures and framerate, and the best looking game I own. Asphalt 6 on the other hand tried to up the ante byadding better effects and higher res textures, but the framerate is at an abysmall 40ish, which my eyes cant stand. Shadowgun is available on the regular market too, and runs flawlessly on the EVO 3D. I agree with Adam that some games, Asphalt 6 for example, don't run that great, but other games with awesome graphics such as both the MADFINGER games do. The tech Unity3D tech demo looks amazing too. Never heard of TinTin before, but that looks pretty good; I think I'll give it a shot. LOL, guess I can disable the nvidia plugin then. It's not 2D, watch the video, the game is clearly 3D. I saw the video on the Market, looks like a cool game, I'm just going off of what recent reviews in the Market have said. People are saying when they first installed it, it was a very cool 3D game that ran pretty smooth. With the recent update (1.0.9) they now have some 2D side scrolling game or something (may be something they added/changed for lower end devices?). Depends on the phone and version. An update for TinTin. It is not available to anyone in the US until the 21st because of the movie launch. I had no idea they were even making a movie. o.o Hopefully that holds true, looks like a cool game.